Want your weekends back? Contact Gardening Angel on 0467 001 100 to get your garden back to its best – and getting your time back! Williamstown – are you looking for a lawn mowing and garden maintenance service is that affordable but also amazing? Look no further – the team here at Gardening Angel can deliver the results you want. We are passionate about gardens and will do what it takes to ensure that everyone enjoys theirs. So leave the hard work to us, while you get the time back! We are ready to work when you need it. Getting your landscape back up to scratch takes time and a lot of effort. So why not leave it to us? Gardening Angel is ready to help you with all your requirements with our specialised service. We will ensure that your landscape is restored to its best with our lawn mowing and garden maintenance service. We promise that your Williamstown property will be looking and feeling amazing after we work on it! When you come to us, we will give you more than just a garden maintenance and lawn mowing service if you need it. We can help you restore the beauty of your backyard and landscape area with our services. Take a look below at what we can offer you – we can have it all catered to you! Your garden should be about enjoyment and relaxation. This is what Gardening Angel will give back to you. We will work when you need us to, so you can get back to relaxing and embracing the beauty of your garden and landscape. 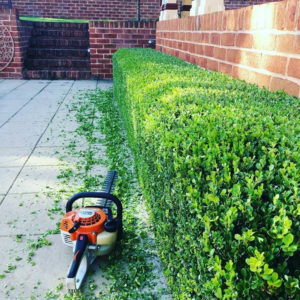 Leave all the hard work to us; we’re more than happy to give your garden back to you in its best condition! To experience your garden again, contact the Williamstown experts.